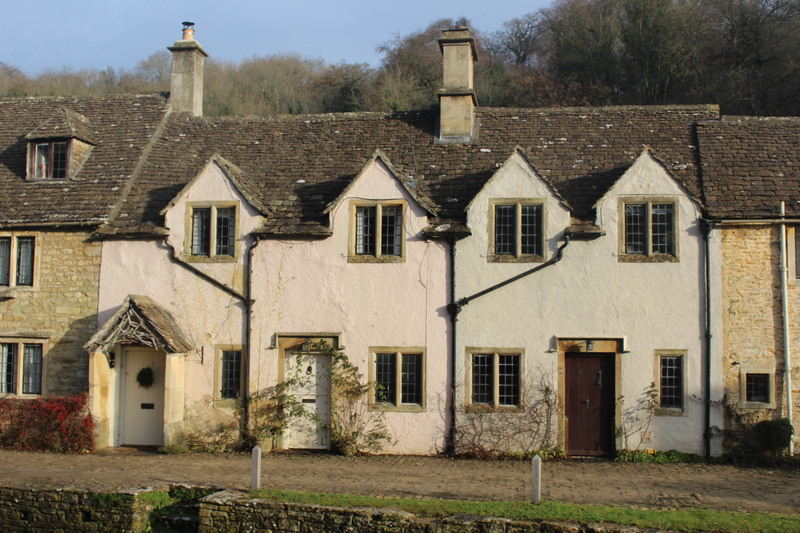 Postcards from England: Christmas 2016 — Cotswolds Elegance | Oh, the Places We See . 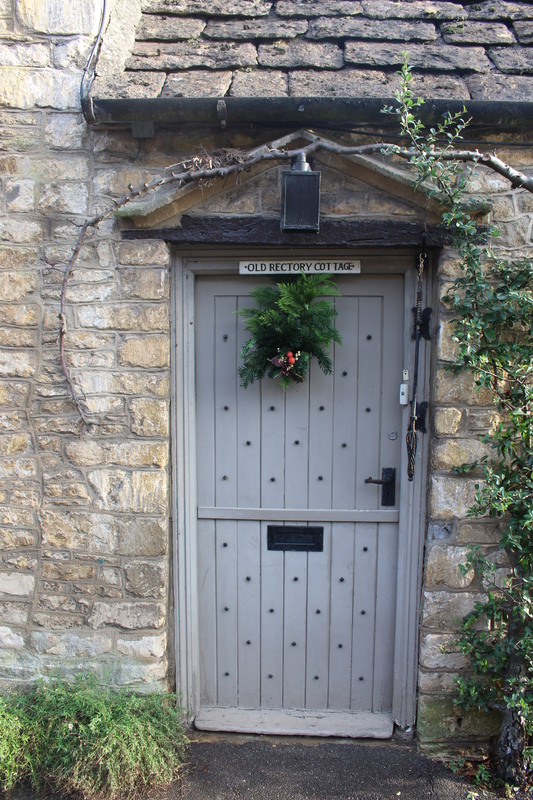 . .
Lovely home in the Cotswolds decorated with a single wreath. But what stands out are the other elements — stone fencing, interesting roofline, climbing vines, and tiled roof. From the glitz and glamour of holiday season in London to the understated tones of the Cotswolds, Christmas is celebrated in many ways in England. Some homes in the country add only a single wreath on the door. No flashing strings of lights, no blow-up Santas, no prancing reindeer on roofs or lawns. Just the simplicity of greenery with a touch of berries, maybe a bow. And how lovely that is. Enjoy these homes — rooflines, stonework, interesting doorways — for what they are. After all, you’re in the Cotswolds. Pale blue door with wreath — ready for Christmas. Stone home with arched doorway and alcove for boots? at bottom. For more Postcards from England, click here for the list with links. And thanks for spending some holiday time traveling with us! 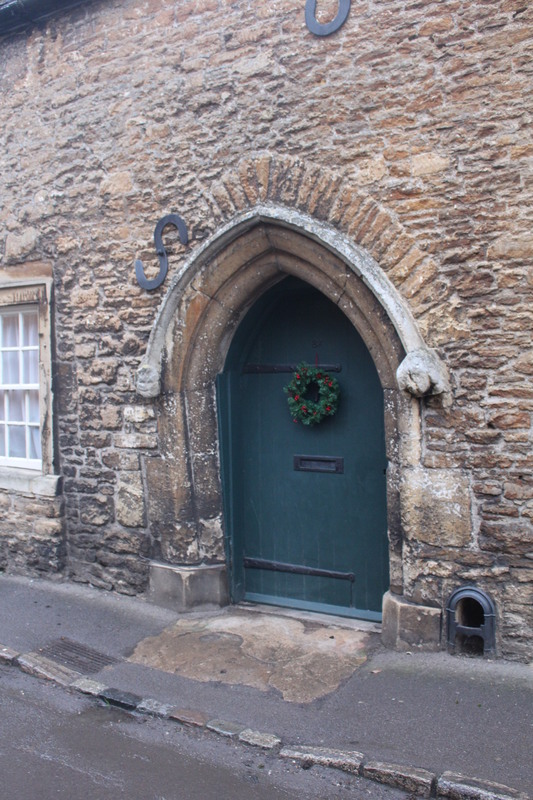 This entry was posted in England, Postcards from England: Christmas 2016 and tagged architecture, Cotswolds, doorways, stone fence. Bookmark the permalink. We were there about 9 years ago and will be back this October. Wonderful old structures. Simply love the authenticity and purity of the Cotswold, Rusha. We loved the authenticity and purity, too! That’s what drew us toward the places. Been there for so long yet the look and feel is so enticing. I just want to stay there and unwind! Best wishes for a productive 2017! Love the beauty of the simplicity. Definitely less is more! You said it best: Less is more. I love the understated beauty we saw in the countryside; however, I do gawk and stare when I come upon a house lavishly decorated with lights in the U.S. LOL!